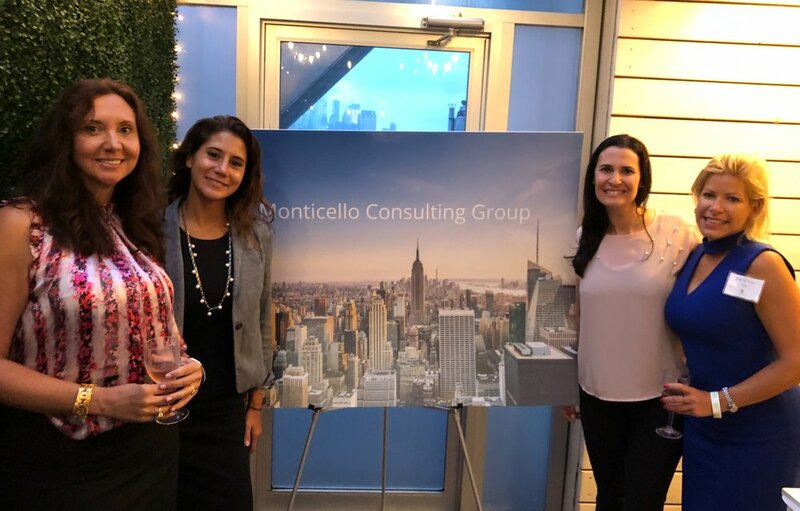 Professionals from various avenues of Wall Street connected and enjoyed the evening, overlooking the city skyline, at our recent networking event. Guests pictured above are Rich Myers - BAML, Georgia Souzou - Center for Economic Council, and Jessica Lasalle - Deutsche Bank. Guests pictured above are Monticello’s Meg Martin, Andrew Guierda, and Marisa Fleming, Angela Rucks and Garrett Walker - BAML. Guests pictured above are Jennifer Kurila - JPM Securities, Jennifer Mulroy - Systematic Financial Management, Joanna Horowitz- Monticello, and Brenda Colon - PGIM.